Digital display unit with accumulative count, pre-set counter, instantaneous flow rate. Different types and variables are available. Please contact your local branch for more information. The product to be metered? a) Local display of total, flow rate etc? b) Remote display of total, flow rate etc? c) Integration of signals (eg Pulse, 4:20mA, digital communication etc.) into a PLC, SCADA System etc. d) Anything not listed above. Will you need to control a batch quantity, flow rate etc? Will the line be empty at any point in time? Where will the flow meter be installed, inside, outside, vertical line, horizontal line etc. 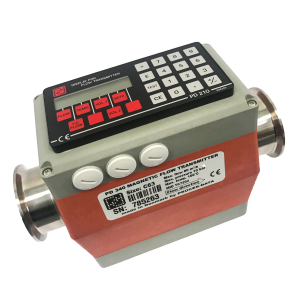 Will you be using an existing 24V power supply for the flow meter or will you need to install one?